Have I told you about this book? 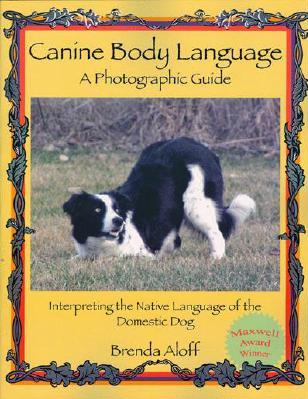 This book gave shape and substance to my understanding of dogs. It's beautifully written, and the photos illustrate the points perfectly. If you're a dog lover, if you've observed dogs, 100% of this will ring true. You'll find yourself going, "Ah, so THAT'S what that means." Welcome to the beginning of a two-way conversation with your dog. I wish more people would learn about dog language. They are so informative. Can't wait to see what you have coming up! Thanks, Melanie! Indeed, learning about proper communication with dogs--with all animals--is such a revelation. I'm nowhere near knowing enough (will I ever be? will anyone? ), but it's fascinating, and I'm willing to invest whatever time it takes. Thanks for visiting, and sorry it took me forever to reply!